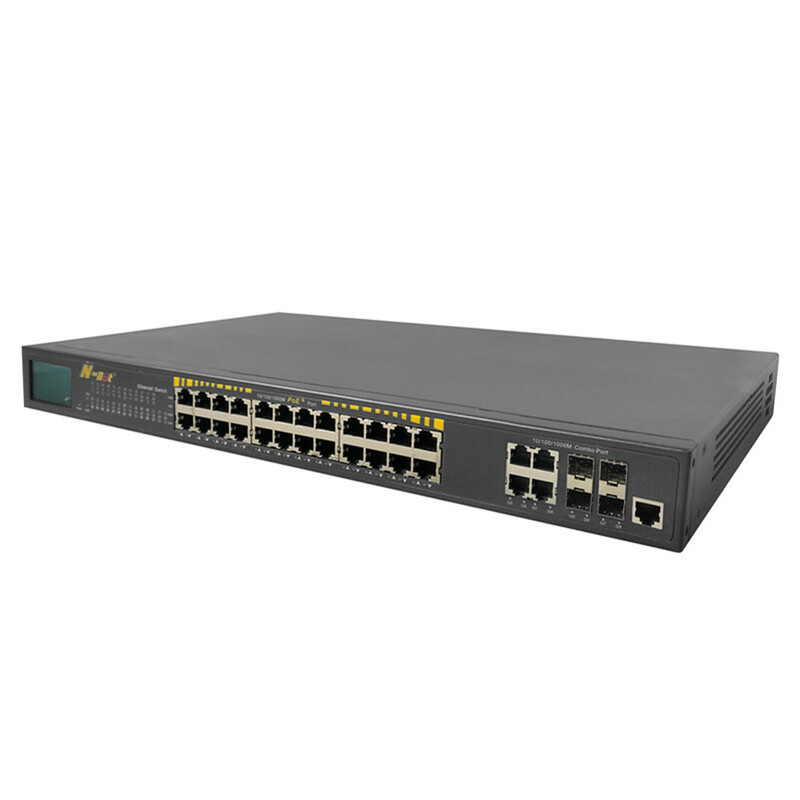 NT-35M24T4GCL series Ethernet Switch with LCD screen visual function, is dedicated to the application of video monitoring system and network engineering and design. This Managed Gigabit Switch provides 24 fast Ethernet adaptive RJ45 port, each RJ45 port supports MDI, MDIX automatic turning and line speed forwarding function. With 24 Power Over Ethernet port, they are all compatible with IEEE802.3af/at PoE standard and one of the highest output power is 30W. N-net 24 Ports Poe Switch supports PoE status displaying ,including the port output power, short-circuit protection, overload port / light load, PoE off, PoE the total power, and power supply overvoltage / low pressure / temperature alarm. The scroll mode shows the port state, the residence time is about 5S. According to the data displaying, usera can master real-time updating PD POE power, state monitoring and troubleshooting. 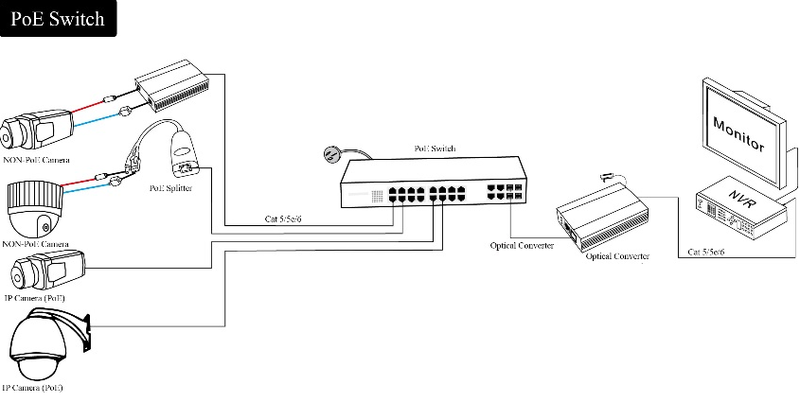 For a humanized design, N-net Network Switch are simplified the wiring as well as avoiding the power socket of the power supply equipment. Looking for ideal Managed Gigabit Ethernet POE Switch Manufacturer & supplier ? We have a wide selection at great prices to help you get creative. All the LCD 10/100/1000M Poe Switch are quality guaranteed. 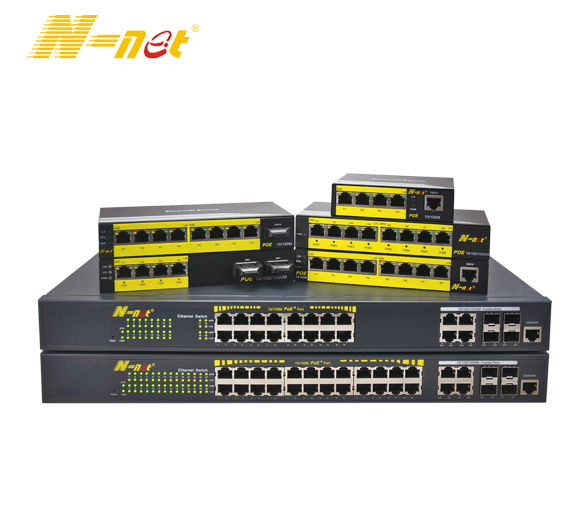 We are China Origin Factory of Managed Ethernet Poe Switch. If you have any question, please feel free to contact us.